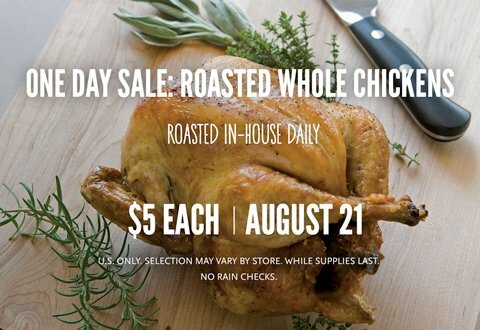 Whole Foods Roasted Chickens $5 (Today ONLY, 8/21)! There is a Whole Foods One Day whole chicken sale happening today, 8/21, on Whole Roasted Chickens for ONLY $5 ea. This is a fantastic price on Whole Foods quality roasted chicken (antibiotic free, no added hormones chicken)! Pick up a few and shred it over salads or use for sandwiches, or check out some of our recipe ideas below! 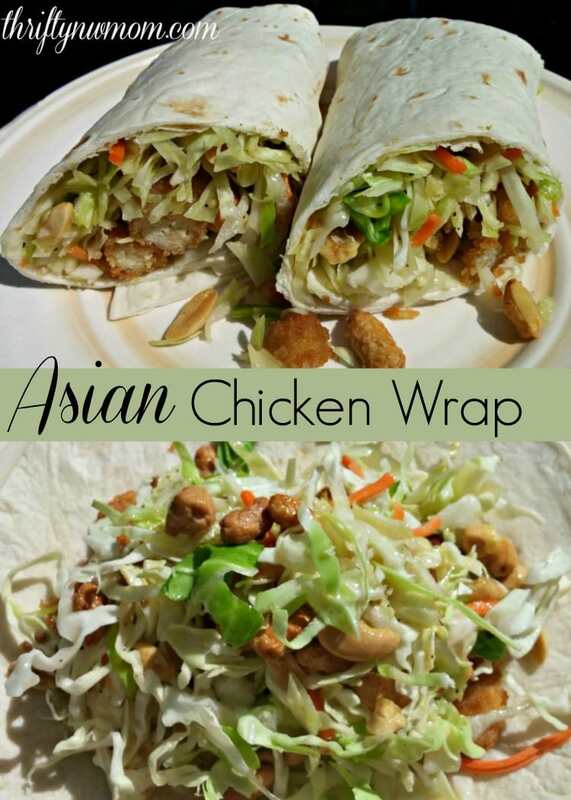 If you are looking for a quick and convenient meal, this one beat fast food in price and quality! Grab your Whole Roasted Chicken, add a nice salad on the side and you have a convenient and tasty meal in no time. My mouth is watering just thinking of this tasty comfort food. I love to grab these when they are on sale and then take the chicken off the bone, and freeze it for meals later on. This really is a good price for the rotisserie chicken but it is not their organic chicken, those are $10.00 each. The $5 are range raised per the email ad that I got. Thanks for pointing that out Mary – we will get the post updated to clarify that. Thanks again!